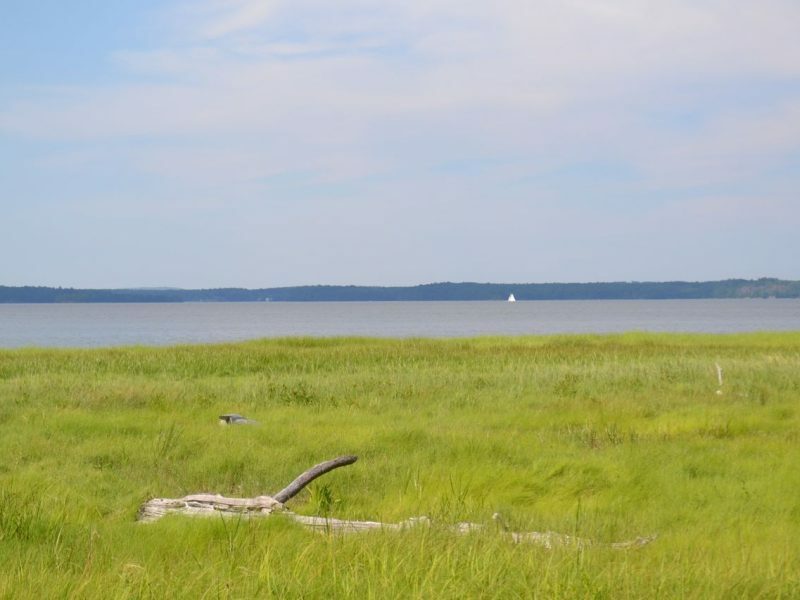 A short path through the woods leads out to this exceptionally scenic salt marsh on Great Bay. Go down the stairs near the back of the building and turn left on to the trail. Look for the boat displays and kiosk. 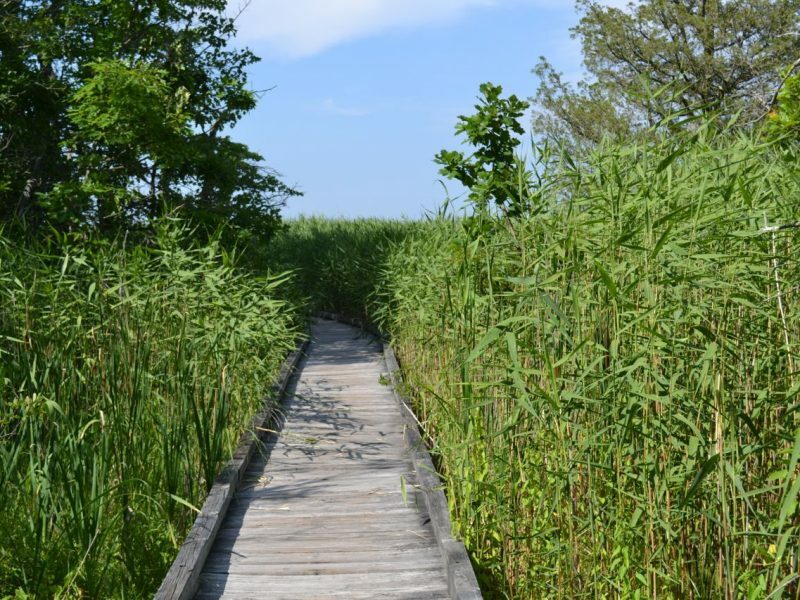 Along the boardwalk, signs will inform you about the wildlife and plant life that inhabits the wetland. 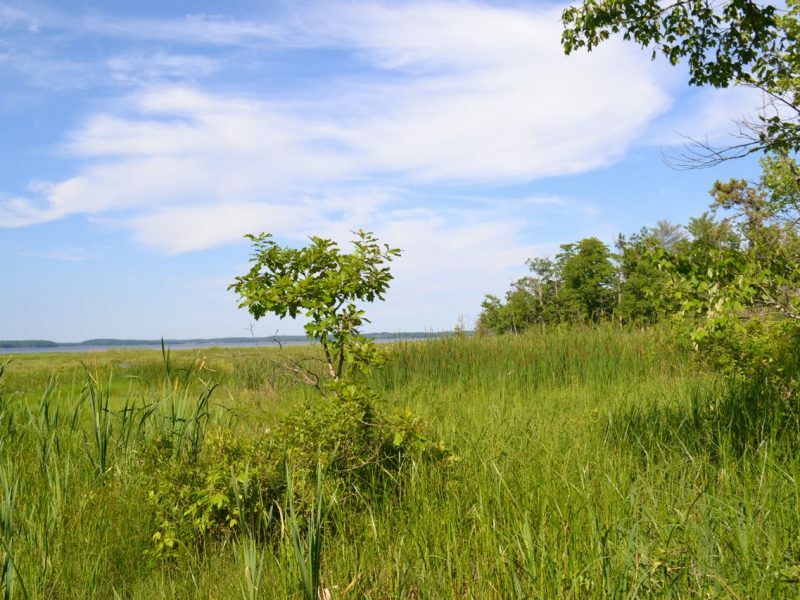 One plant, the feather-tufted common reed, has not been discovered anywhere else in the state. 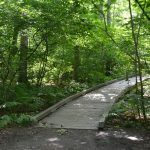 The end of the boardwalk forms a loop around a stand of trees. 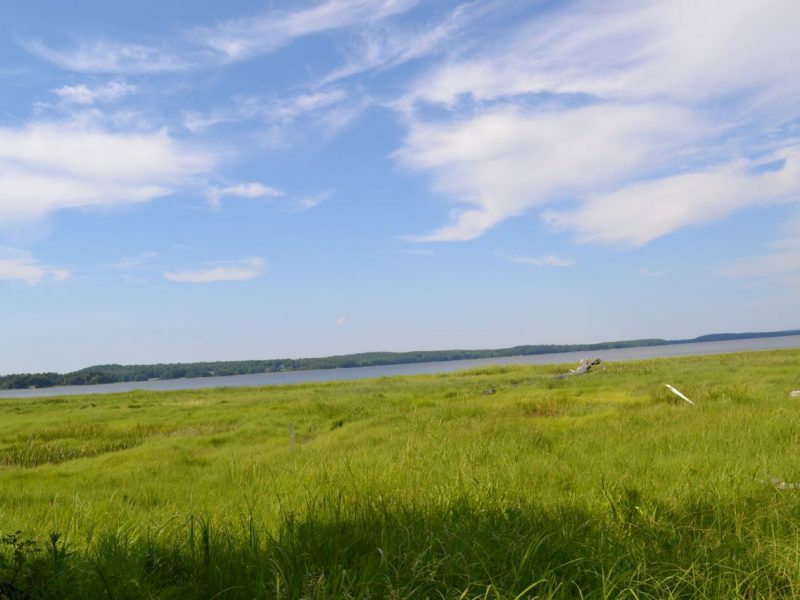 There are plenty of places to sit and enjoy the bay view. 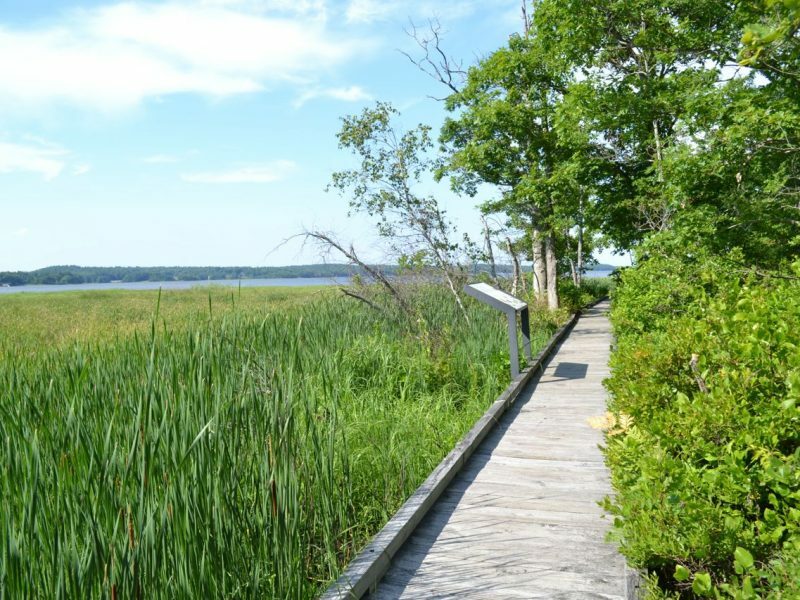 The Discovery center is open from May to October, but the grounds are open year round. Please note that restrooms and drinking fountains may only be available seasonally. 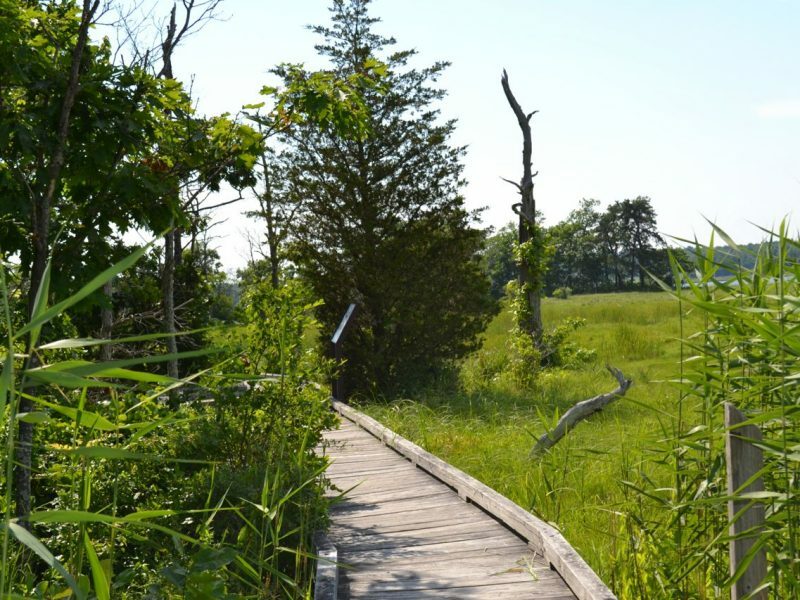 Trail offers a boardwalk out to scenic views of the salt marsh.